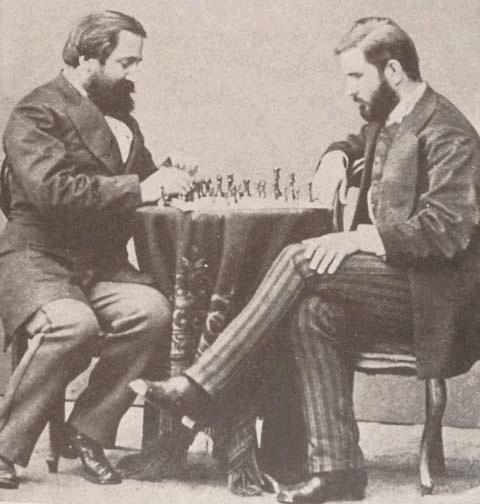 Georgian writers Ilia Chavchavadze and Ivane Machabeli playing chess, 1873 St Petersburg. It’s not easy facing down a King. You’re taught your whole life to believe they’ve ascended to power through innate talent, faultless character, Divine Right. One day you realize: it’s all a stroke of luck. A matter of heredity. Sure, sometimes the Queen is captured by someone else. But mostly it’s the gene pool that determines your reality, your fate, your destiny. There comes a time in every person’s life (most say around age thirteen) when you’ve got to decide for yourself: do you stand for what the King believes? Or do you strike out on your own, make your own choices, become your own Knight (shining armor optional, depending on the state of your room)? The King will resist your efforts towards independence. The Queen will block you in. You will realize checkmate is inevitable when the keys to the Kingdom (in other words, the Royal Chariot) are revoked. You must acquiesce, at least a little longer. This week’s challenge in a 150 (+/- 10) words? Write a story based on this prompt that includes something about a nemesis, but that does not include the word “chess”. What do you think of my take? Please come on over to Flash Friday Fiction to read and comment on the other entries, as well; we writers need all the feedback we can get! 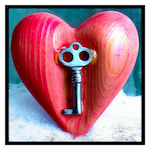 This entry was posted in Flash Friday Fiction and tagged chess, Flash Friday Fiction, King, power by Margaret. Bookmark the permalink.